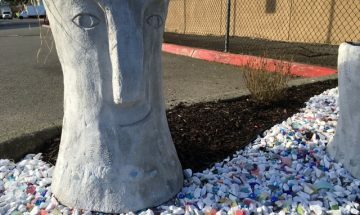 Check out the latest art installations in Renton’s Downtown! 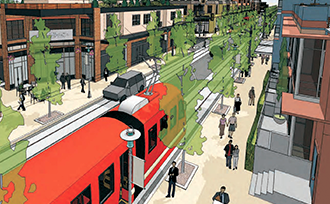 Renton’s Downtown is home to a vibrant arts scene where you will find a growing collection of murals and sculptures by local Renton and Puget Sound artists. We showcase a diverse mix of public and private art installations found throughout Downtown and are constantly looking for new opportunities for future art installations. 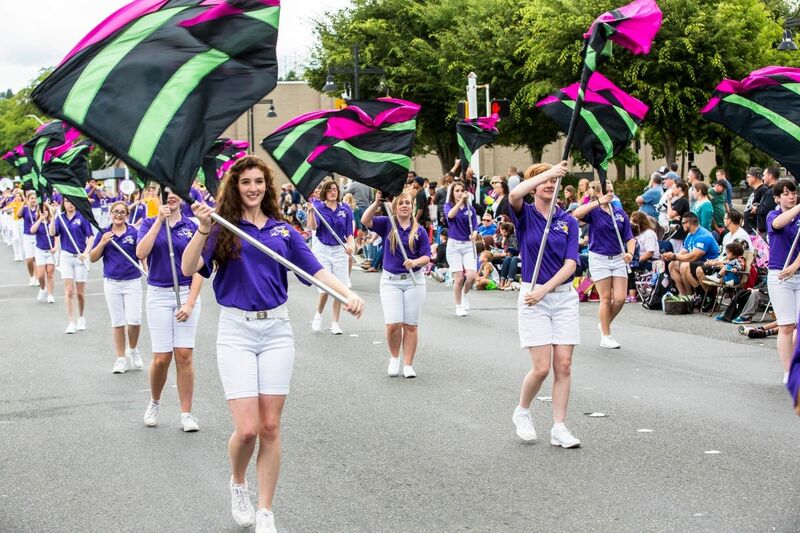 We work closely with the Renton Municipal Arts Commission and other non-profit arts groups in order to help foster a vibrant arts scene in Renton’s Downtown. 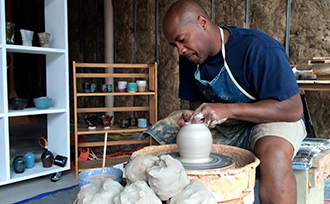 Check out some of the art and culture organizations and programs currently operating in Renton. 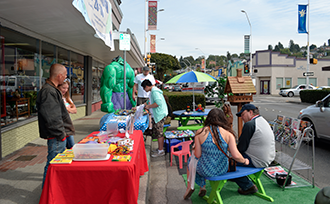 The South Renton Neighborhood Association*, in collaboration with the Renton Municipal Arts Commission, is seeking artists to participate in an exciting new public art campaign. Interested artists will be permitted to “adopt” fire hydrants within the South Renton neighborhood and create artistic designs for them. The goal of this program is to embrace the artistic talents of local individuals while displaying creative artwork throughout the community. There is no specific theme for this program, though artists are encouraged to incorporate the character and history of the surrounding environment and neighborhood into their artwork. The program is free and open to the public. The project will include 20 painted fire hydrants in the South Renton neighborhood. Selected artists will receive $300 per hydrant to cover the cost of materials, supplies and design fees. Applicants are welcome to submit multiple designs for consideration. 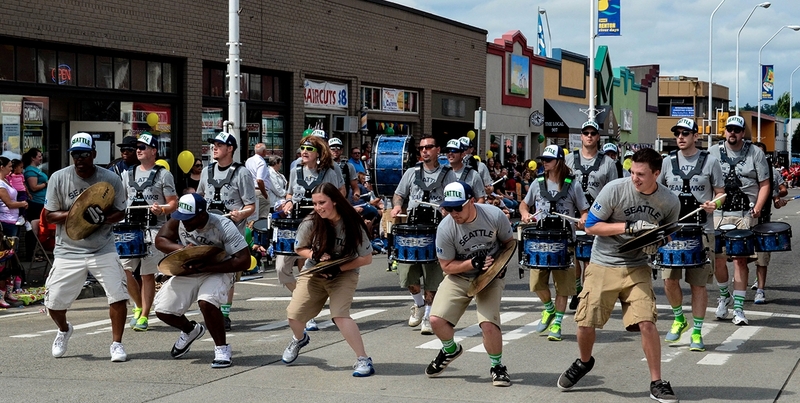 The Commission strives to support and connect people with arts and culture endeavors in the Renton community. On August 9, 1965, the City of Renton the charged the Commission with advising on the artistic and cultural development of Renton. 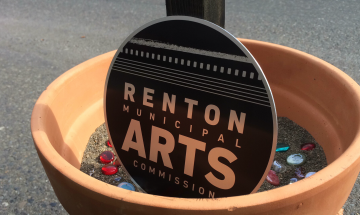 The Renton Municipal Arts Commission provides financial support for artists and organizations to initiate, organize, and promote arts and education to benefit the citizens of Renton. The GAP Program is an innovative method of funding locally made public art with limited resources and great results. The projects are transforming empty and meaningless spaces into focal points and engaging artists of all ages and skills. It celebrates the diversity of the city and offers opportunities for all, regardless of economics, education, age, gender or ethnic origin. The GAP program received the 2017 Governor's Smart Communities Award for its role in promoting smart growth planning and recognizing the program's ability to promote a thriving community. Located in an historic Art Deco firehouse, the Renton History Museum offers changing exhibits, programs, publications, and events to share Renton’s stories, past and present. 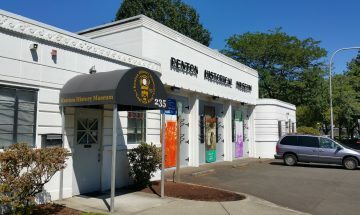 The Museum is situated in historic downtown Renton and is surrounded by local shops and restaurants, offers free parking, and is close to the library and Liberty Park. The Museum Gallery and Gift Shop are open Tuesday through Saturday from 10am to 4pm. Arts Unlimited aims to connect community through the arts by providing venues and opportunities for sensory and kinetic storytelling via the arts, facilitating positive experiences for teaching, learning, exhibiting, and performing the arts.